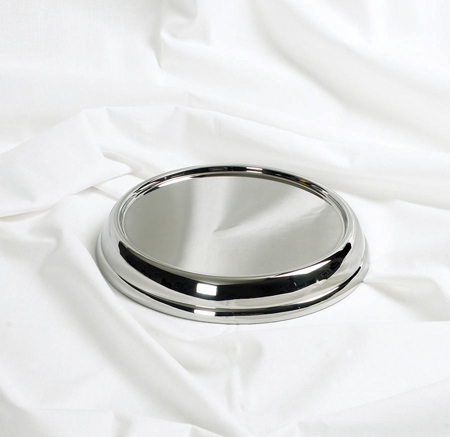 Communion tray base crafted in nickel over stainless steel is manufactured by skilled artisans to the highest FDA standards for food service. 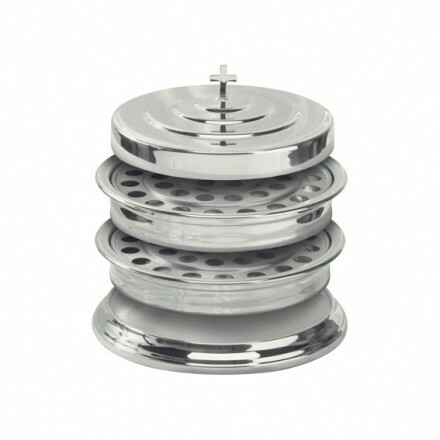 Each base can support up to four of our stacking communion trays. A special anodizing process gives this communion ware a beautiful luster that will last for years. 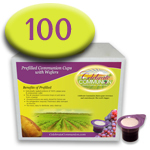 Simply wipe clean after your Communion celebration with a soft damp cloth.